I am in FULL swing decorating my home for the holidays. I just love making my home warm and inviting for my family and guests. One of my favorite things to incorporate in my Christmas decorating is Deco Mesh. 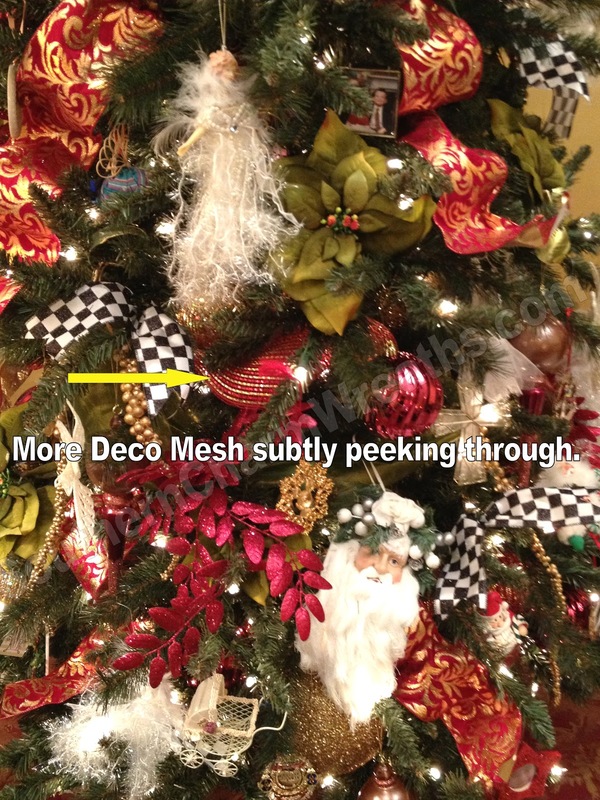 I especially like adding Deco Mesh to my Christmas tree because there are so many different ways to add it. 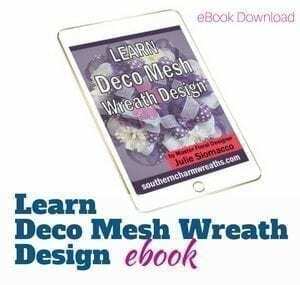 Whether you like the funky and whimsical look or subtle more natural look, you can add Deco Mesh to your Christmas tree using these techniques. Here are my FIVE different ways to add Deco Mesh to a Christmas Tree. Make sure to leave me a comment and tell me which method you prefer. But first, let me show you my 2012 Christmas tree from my family den, I went with a deep red/burgundy and gold theme. You can tell I am very subtle this year with the deco mesh in my tree. That is because I found an amazing red ribbon with gold damask print I had to incorporate but I like the shimmer the mesh gives off as it reflects the warm Christmas lights. 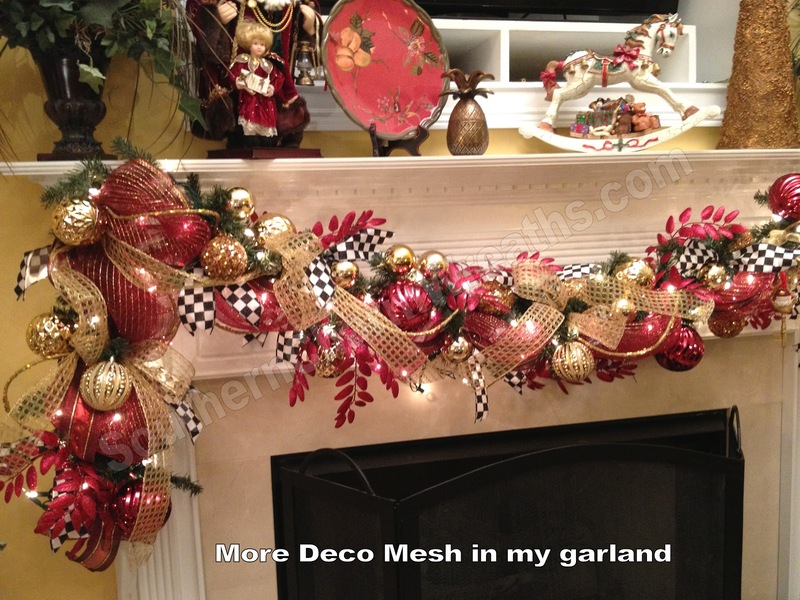 You can see I used more deco mesh in my garland on my fireplace. I ran out of the fancy, more expensive red and gold ribbon but the gold and red mesh matches enough. I used the black and white checker ribbon also on my fireplace garland to tie the two together. So as promised here are the videos…. 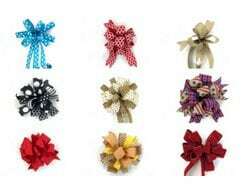 Attach mesh to an artificial garland and add it to the tree either vertically or wrap around your tree. 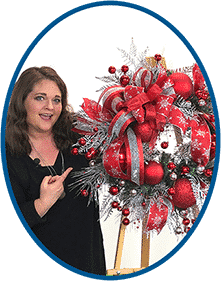 Attach mesh to the Christmas tree in one continuous piece weaving in and out and around your tree. Cut 20″ long pieces and place inside your tree at different locations giving the illusion of one continuous piece. Cut 12″ long pieces and twist onto branches of your tree for a more whimsical look. I hope you have a wonderful time decorating for the holidays! I know your family and friends will be amazed when they see your new decorated tree! When doing step #4 (the whimsical look), about how many little rolls do you use? 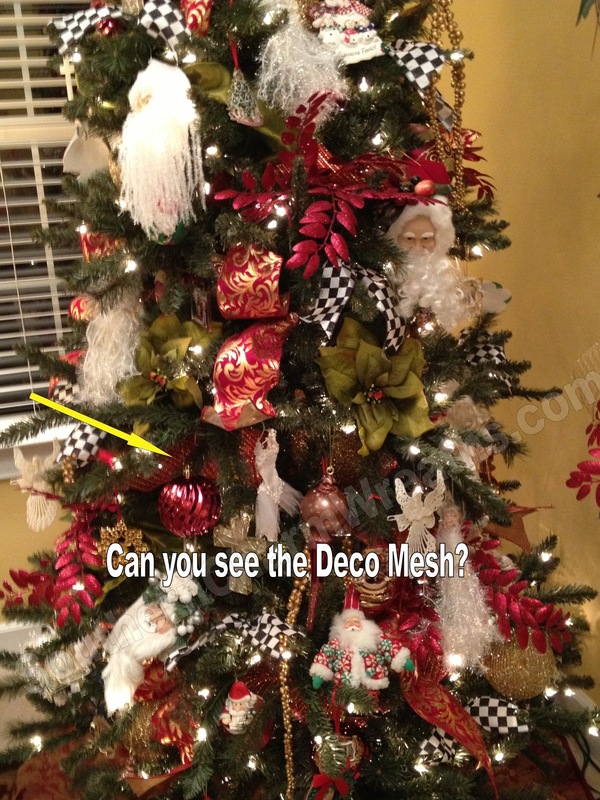 Or how many yards of deco mesh for a 7.5′ tree? Loved your instructions on the deco mesh for the tree. I would love if you posted instructions on how you made that gorgeous tree topper. Enjoyed the tutorials on working mesh into the Christmas tree. Have you given one on making and adhering tree toppers? I think that is something all of us would love to see. 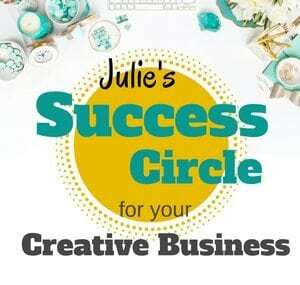 Thanks so much, Julie, for sharing all your knowledge!